We can’t wait to show off the painted rims so we’ll get right into it this week! 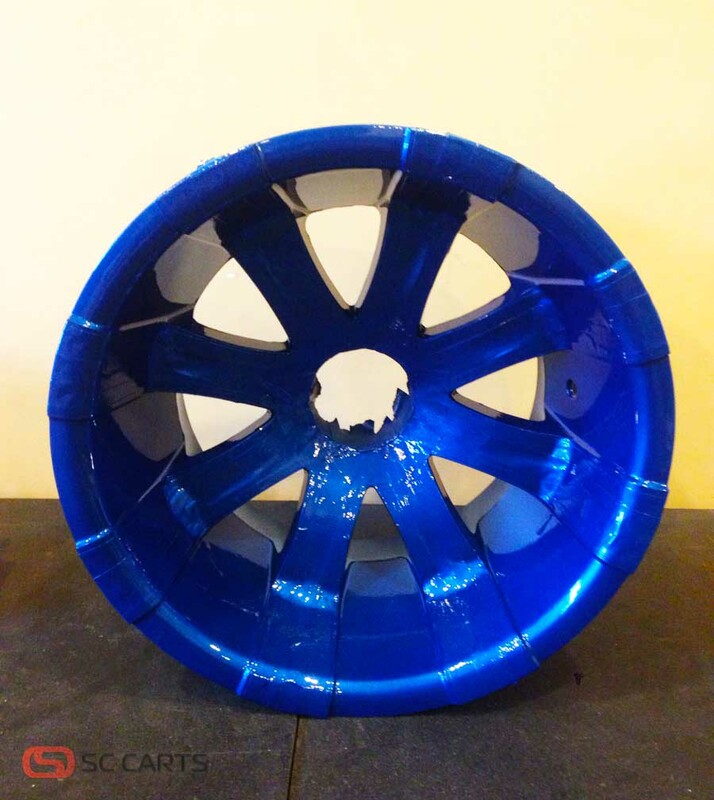 After we left off last week, these 12″ custom rims had been masked and were ready for their first spray. Voila! 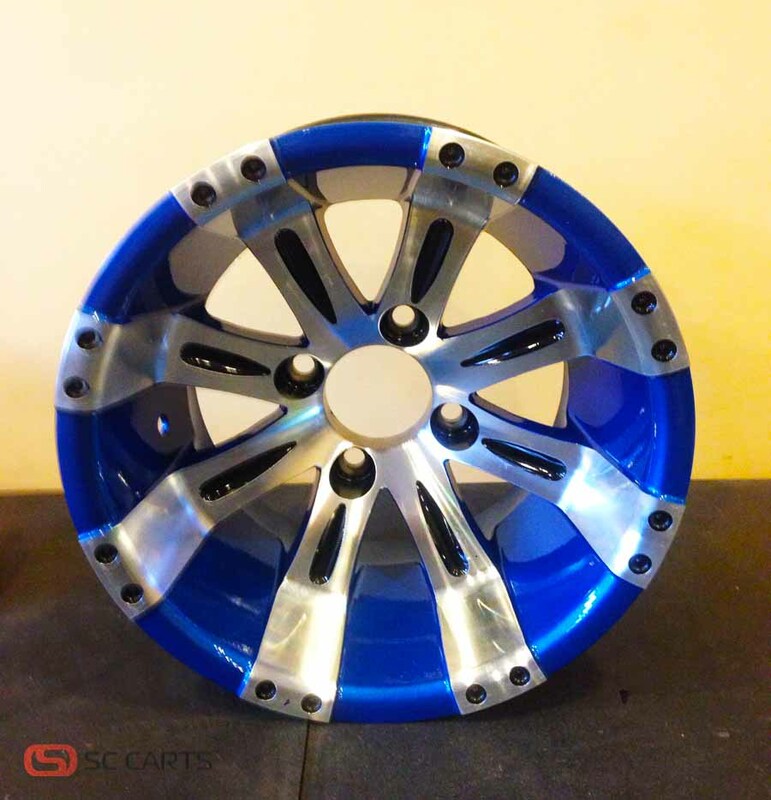 Here are the custom painted rims after being painted and cleared. 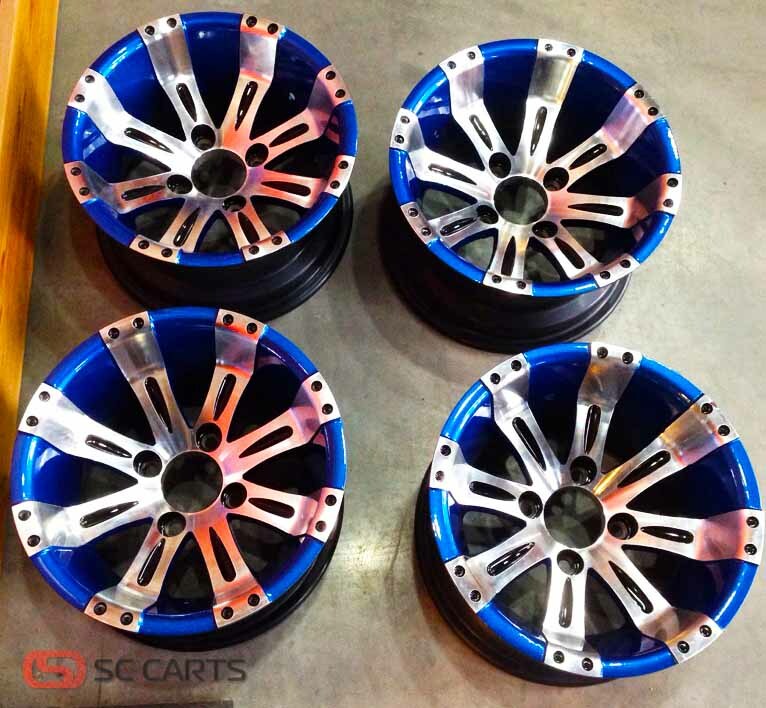 The rims are patiently wait to get their tires installed! No shoving fellas. 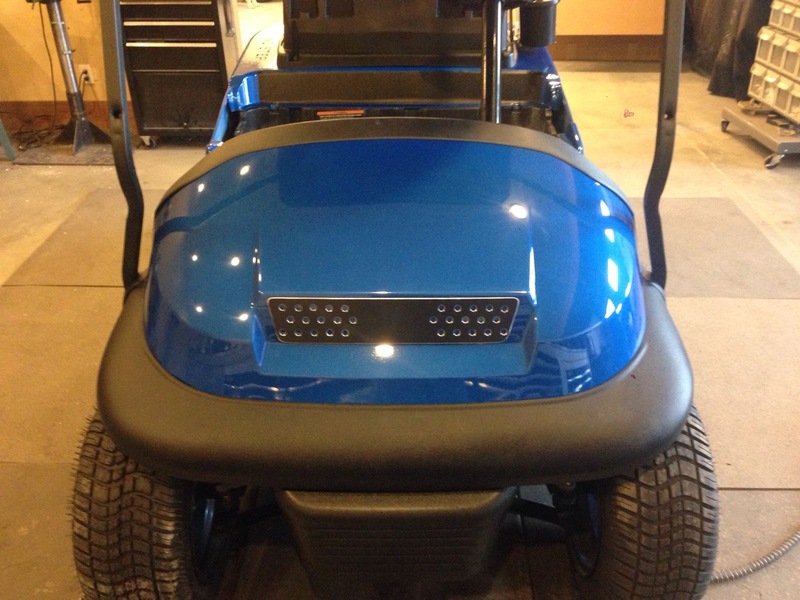 next we installed the front cowl as well as the front grill this grill is getting a custom touch, you will have to wait and see! 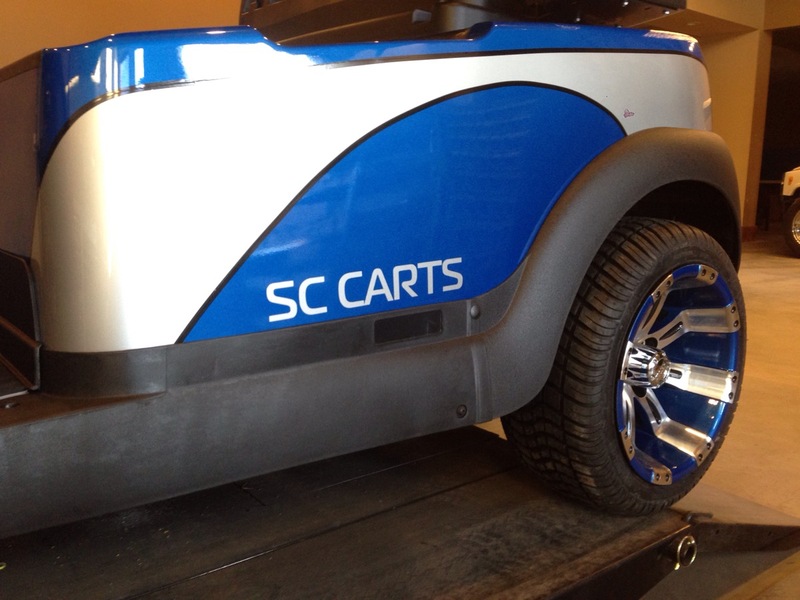 what do you think of this cart now that it has the painted rims & tires installed? isn’t it a beauty?!?! 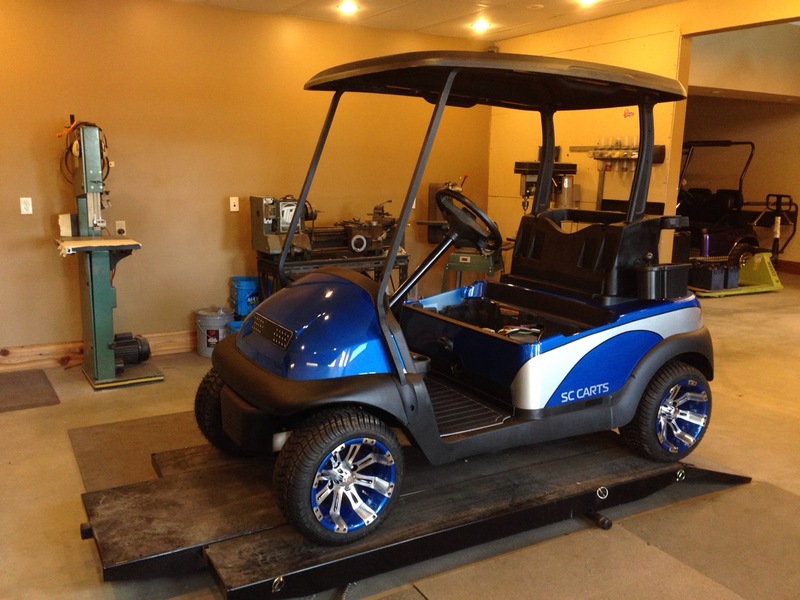 And now we wait… this custom cart for Peace Country Rentals is now going to be stored inside until the spring of 2015. 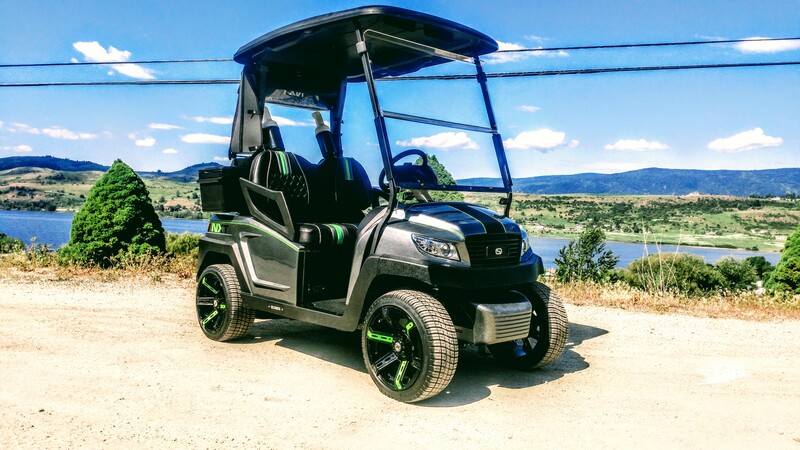 Check back next year as we’ll finish up this cart!